From 12:15 to 1:30 p.m.
Patricia Egan Jones was sworn in as Assemblywoman on November 9, 2015 for New Jersey’s 5th Legislative District, which covers parts of Camden and Gloucester Counties. 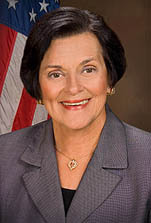 A graduate of Rutgers University-Camden, Patricia Egan Jones began her career in public service as a community activist, and went on to serve as Chief of Staff for New Jersey Assembly Speaker Joseph Roberts and Legislative and Administrative Director to the late New Jersey State Senator Walter Rand. Jones was first elected to public office as a member of Borough Council in Barrington. As Councilwoman she created the borough Economic Development Committee and was instrumental in the creation of Barrington’s “Wish Upon A Star” playground. the Board of Directors of the American Red Cross of Camden, Burlington, and Gloucester Counties. Page last updated by Department of Political Science at 11:46 am November 13, 2018 . This page was printed from http://polisci.camden.rutgers.edu/events/baron-lecture-series/ at 4:34 PM Sunday, April 21, 2019.